2nd August-31st August 2015: ‘Legacy of Valour’ is a community heritage project funded by HLF and local Punjabi community living in in Reading and Wokingham. 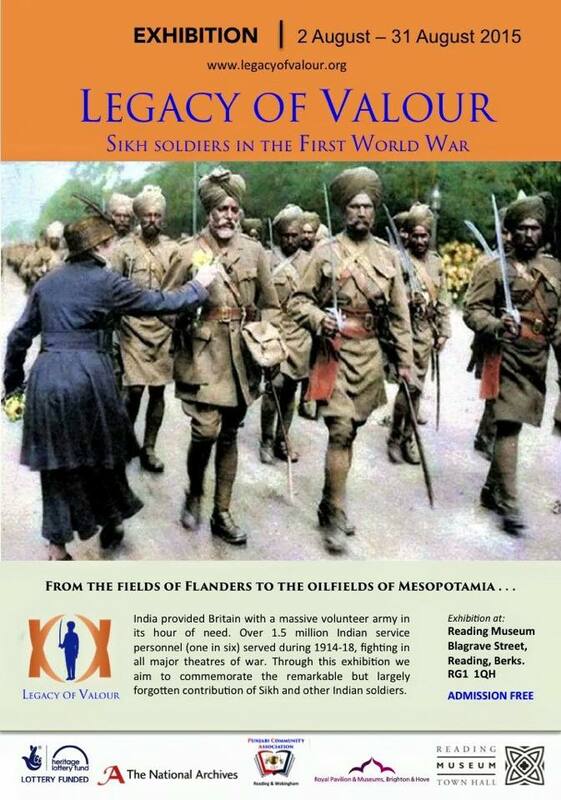 The main aim of the project is to facilitate the community to engage with its own proud history – learn, understand and highlight the contribution made by Sikhs and other Indian soldiers. The project will reflect on aftermath of the war and how it affected Indian social, political, military and economic evolution .